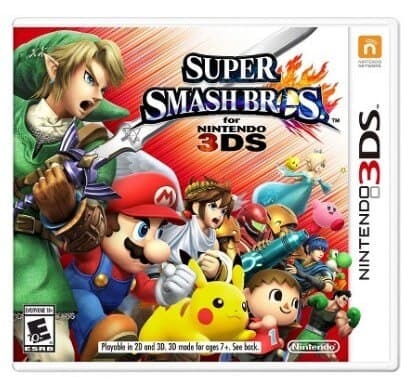 The Super Smash Brothers (Nintendo 3DS) is on sale for $25.99 at Target.com right now. That's 35% off the regular price of $39.99! Super Smash Bros. for Nintendo 3DS is the first portable entry in the renowned series, in which game worlds collide. Up to four players battle each other locally or online using some of Nintendo's most well-known and iconic characters across beautifully designed stages inspired by classic portable Nintendo games. It's a genuine, massive Super Smash Bros. experience that's available to play on the go, anytime, anywhere. Shipping is Free with in-store pickup, $25+ order or your RedCard! Plus if you use your RedCard you can save an extra 5%!